Channel your inner 60s chic in this gorgeous Traffic People mini skirt. Pair with the Traffic People fluted blouse from the collection (VY870), black tights and boots for a glam daytime look this winter. 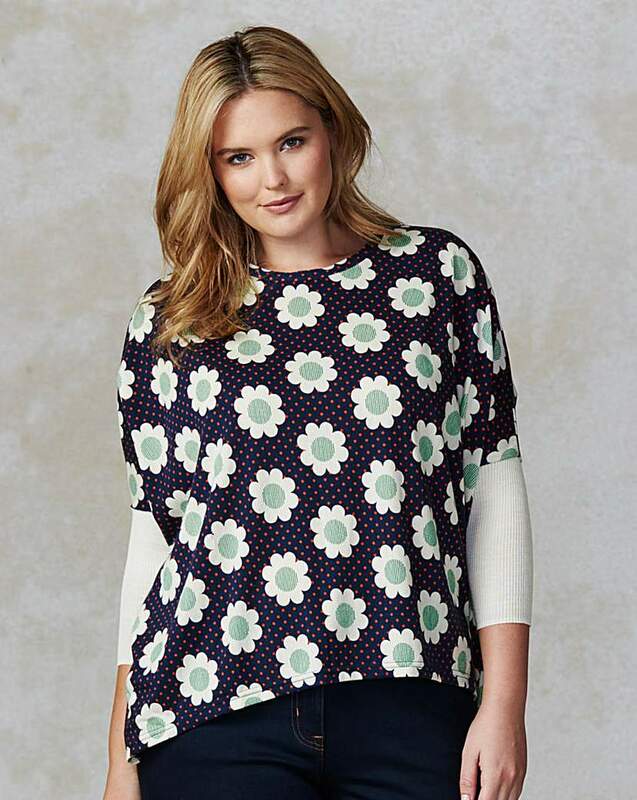 Channel your inner 60s chic in our second drop of Traffic People. 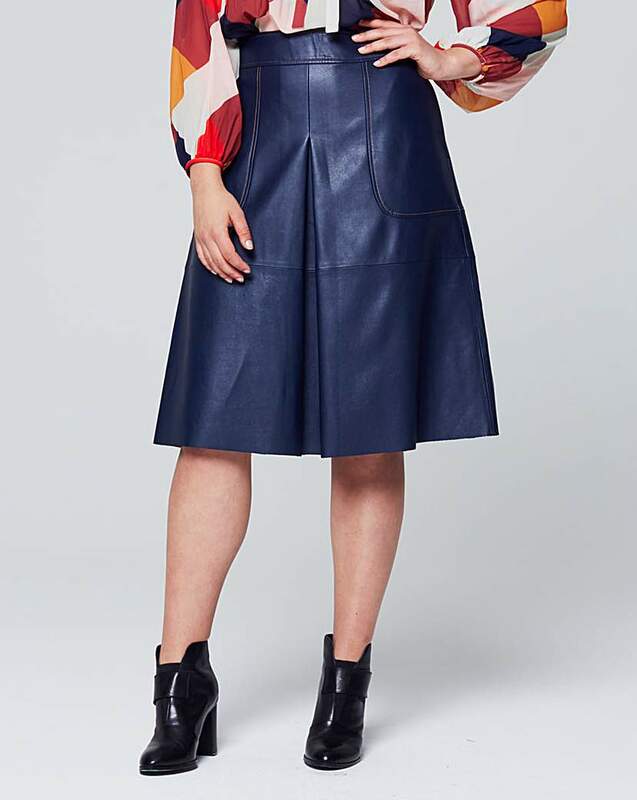 This fluted sleeve blouse as a sewn in cami and fluted sleeve detail Tuck into the Traffic People A Line mini skirt (VY871) and pair with tights and boots for the perfect 60s chic look. This gorgeous dropped waist dress by Traffic People has a short pleated skirt and a short ruffled collar. The back has a series of wide vertcial pleats (that compose top section), and a small zip and 2 cute buttons to close. 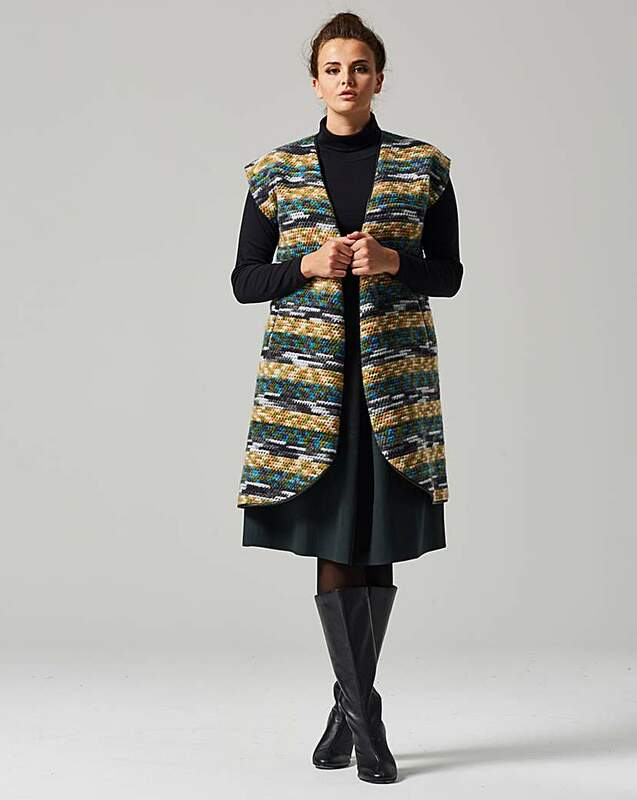 This gorgeous multi colour knitted gilet by Traffic People is the perfect wardrobe addition this Winter. Wear with the suedette midi skirt also from the collection (VY869) and a long sleeved roll neck jumper for the perfect winter look. Traffic People bring you the perfect day to night dress. This relaxed midi dress comes in a comfortable jersey fabric, with a flattering high neckline, front pockets and cap sleeves. Complete the look with tights and ankle boots or dress up in platforms. This Classic cut skirt by Traffic People has a soft suede finish, featuring decorative panels & orange stitching.Has a single central pleat on the front, 2 side pockets & a ⅓ length dark metal zip at the back.